STRESS!! In a recent survey of 2000 people in the UK, 85% said they experienced stress regularly. That seems a scary number to me and even scarier is I know I could count myself among them. In this modern world of instant gratification, more and more both women and men are expected to be able to carve out an ‘inspirational career’ as well as being super mum/dad, housewife/husband extraordinaire and of course we all have to be the perfect social butterfly. That’s to say nothing of the pressure to fit into the socially acceptable, ‘cookie cutter’ mould of what we should look like or what fashion trends we should be following etc. The pressure is immense and it’s endless and as such we’ve seen an incredible increase in the number of people seeking treatment for a variety of mental health issues. 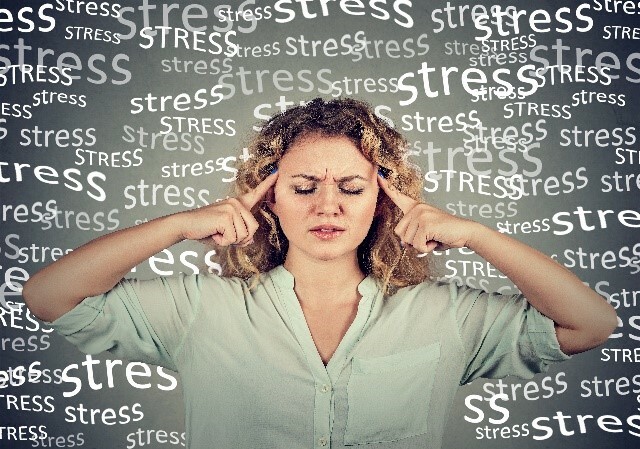 The problem is, that stress is not a solo visitor; it brings with it a whole host of side effects that can affect our mood, behaviour and bodies. When we are stressed it can often affect our energy levels and our sleep ability or quality, leading us to feel exhausted, low or anxious. When we feel those things, we can often take it out on those closest to us affecting our relationships. We might find we lack the clarity of mind to make important decisions or we might try to self-medicate through over/under eating, alcohol or drugs (over the counter, prescription or otherwise!). In addition, when we are stressed, we tend to carry more muscle tension causing aches and pains as a direct result of being stressed. It can affect our hormones which in turn can affect our weight either gaining or losing in unhealthy ways. The effects are many and varied but what they all have in common is that they have a negative impact on us. What can we do then? How do we combat stress? We need to build ourselves a toolbox of coping mechanisms to help us not only overcome the side-effects but to reduce stress itself. We can look at our nutrition, just a small reduction in our intake of mood-altering substances such as sugar, caffeine and alcohol can have a great impact. We might look to schedule some ‘me time’ into our diaries – often people (myself included) see this as a luxury and consider ourselves selfish but just finding that time to read a book, go for a run, meet up with a friend, whatever it is that helps to feed your soul, can help give us that space to clear our minds and function more rationally. In addition, exercise has been shown to have a significant impact on reducing stress levels. Not only is it something just for you (‘me time’) but it releases ‘happy hormones’ called endorphins that can really help to combat those nagging stresses. Any kind of exercise will do – find something that works for you! Hit the gym for a full body workout, go and play a game of tennis, find a dance class you like or go (brisk!) walking in nature, it all helps! Take a big breath in for a count of 8, breathing all the way into your belly. Exhale all the way out for a count of 12. Try scheduling 5 minutes of mindfulness into your day and see if you can notice a change? Here at Body Happy, we aim to go above and beyond the one or two sessions we see you for each week and we can help you with all of the above! We’ll help you to schedule your week, to carve out that ‘you time’, we’ll design you a bespoke exercise programme tailored to your likes/dislikes, your body and your timetable. We can help with your nutrition and give you tips and tricks to help you overcome any barriers or obstacles you may come across. Our goal is to help you to change your lifestyle for the better and create results that last! For more information go to our website https://www.body-happy.co.uk/contact-us/.